The client is boss in most design projects. The client sets the design brief and approves each step of the process – that’s where the money comes from, after all. In practise, however, it’s often the designer who helps to shape a project, sometimes taking a so-so idea and developing it into a something truly unique. Some clients may have taken their money elsewhere, but Polovin and Rosenberg must have seen something they liked in Dreamtime Australia Design’s portfolio, as they returned to the practice several weeks later asking the designers not just to develop the concept, but also hire the chef and manager, and even come up with a name. The practice took on the challenge this time and Concrete Blonde was born. 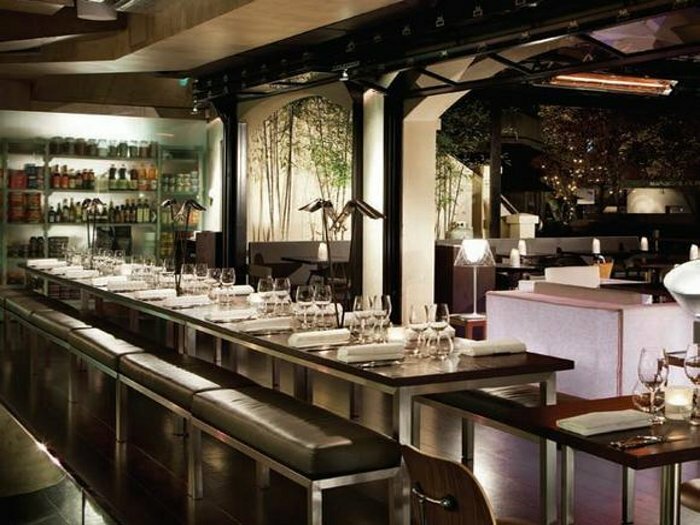 The 100-seater restaurant, which occupies a concrete reinforced basement that had previously been used as a gym, is designed to attract the young, after-work and weekend crowds of Sydney’s Potts Point neighbourhood – an area said to be on the up but still with a wild side. 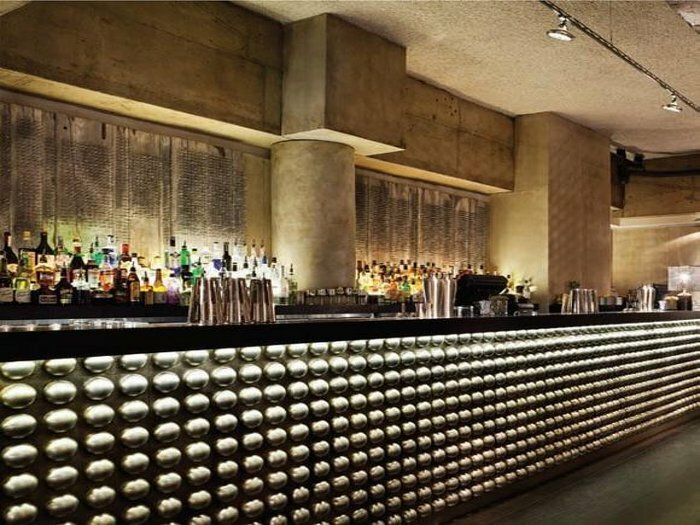 The interior, described by Sydney’s Sun Herald newspaper as ‘achingly cool’, mixes solid, quality finishes such as floorboards of American oak, with edgy, irreverent design features including graffiti on the ceiling, a wall of driftwood planks fastened on with steel nails behind the bar, and a bar front of studded metal. 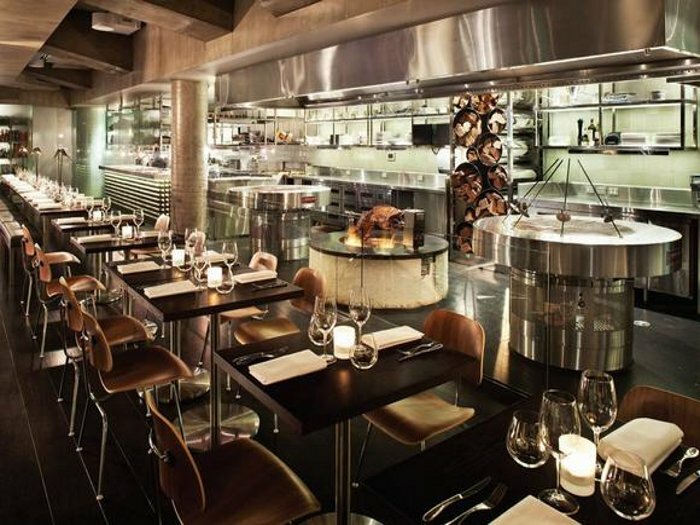 There’s also an unashamedly macho feel to this scheme, too, taking its cue from the open kitchen in which hunks of meat are grilled over firepits or roasted on a 1.5m diameter wood- fired rotisserie. Concrete beams supporting the multistorey building above have been left on show, while various bespoke light fittings include ones shaped like spanners and others with saw teeth. 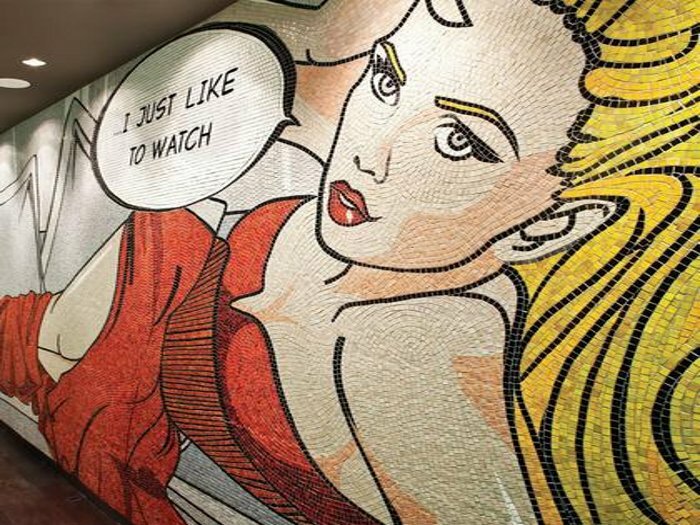 On the wall of the corridor leading to the lavatory, a 5.5m-wide, 2.5m-tall pop-art style mosaic by Sydney artist Sally Spratt of a reclining woman in a red dress (the Concrete Blonde herself), has a speech bubble informing passers-by: ‘I just like to watch’. ‘Concrete Blonde doesn’t take itself too seriously,’ says executive chef Patrick Dang, whose menu includes dishes such as ‘Kentucky fried quail’. ‘We want to be accessible, we have a sense of humour and we just want our guests to have a great time,’ he says. Concrete Blonde’s interior is certainly fun, but the design never feels flimsy. 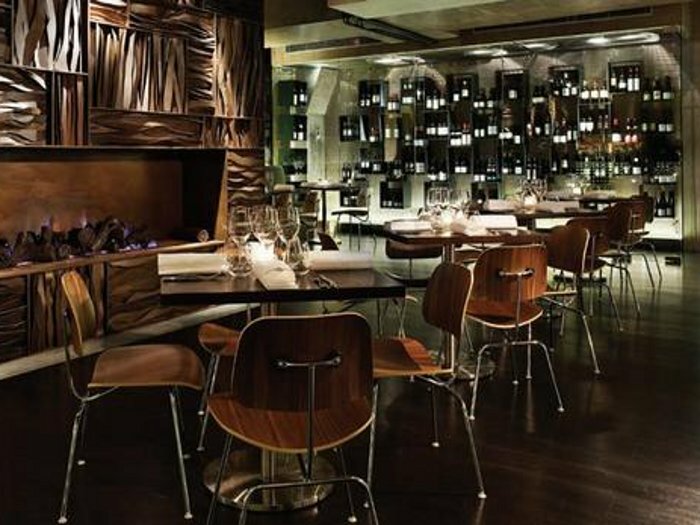 Restaurant furniture includes Eames Moulded Plywood dining chairs by Herman Miller and custom-made, oak-topped tables designed by Dreamtime Australia Design. To encourage a ‘party atmosphere’ the designers also placed an 8m-long communal table with built-in lighting set parallel to the bar. 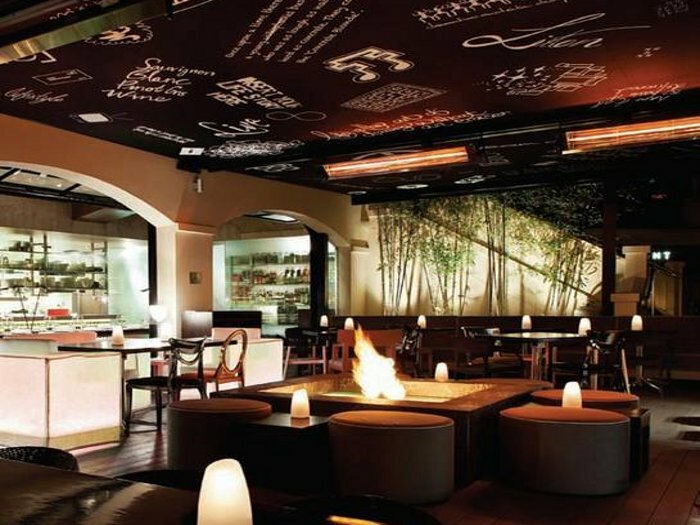 While exploiting the raw, industrial look of the space, the designers also added warmer touches, such as a large, custom-designed fireplace clad with flame-like strips of mild steel. 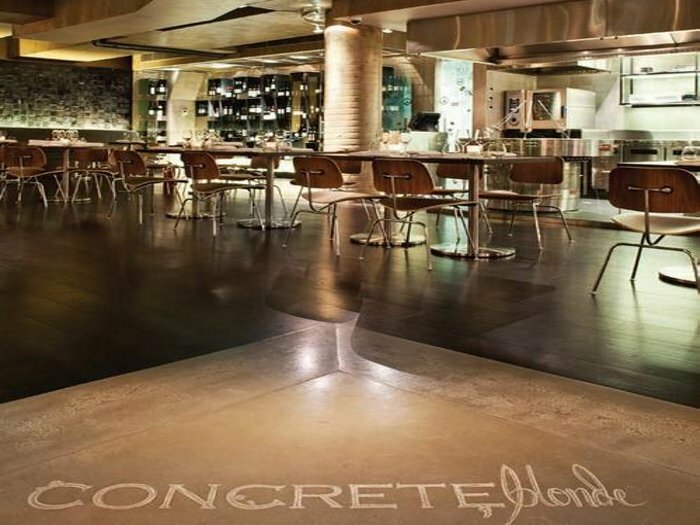 Some eight months since it opened, Concrete Blonde is still very much in business, and has been praised by eminent food critic Terry Durack as ‘amazing’ in his column for the Sydney Morning Herald. While Durack was hugely complimentary about the food, the design scheme has generated easily as many column inches in local papers and magazines. It just goes to show that, sometimes, it pays to give your designer their head.